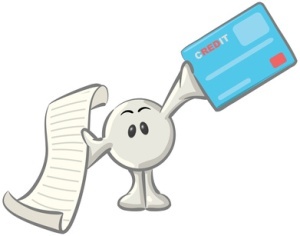 By now we all know that credit cards can either be a great financial instrument or it can be your worst enemy. It all comes down to how seriously you take your financial future and how disciplined you are when it comes to spending money. Unfortunately college students are not known for being very responsible and disciplined, especially when it comes to spending money. When you consider that between 85-90% of college students have at least one credit card a lot of college student accumulate credit card debt that will stay with them for long periods of time. The average college graduate has $4,100 in credit card debt the day they graduate and get their diploma. This is not the worst case scenario, this is just the average case, and there are millions of college students who have much more than $4,000 in credit card debt. Assuming a college graduate can land a respectable paying job immediately after college and they take their credit card debt seriously it should only take them 6 months or so to pay off the credit card debt, but things rarely happen this smoothly. More and more college graduates end up unemployed and those that do land jobs these days often make significantly less than they thought they would as students. Remember that college students do not land credit cards with great rates or terms while they are in their teens and early twenties. Credit card companies are taking a bigger risk by loaning out money to people with little to no credit history so they generally charge higher APR’s and tougher terms all around. Instead of landing a card with an average interest rate, around 15% or so, college students will receive cards that charge variable interest rates 20% and over. Any sum of money compounded at over 20% a year will begin to grow quickly, especially if it is well into the thousands of dollars. One in four college students have paid a late fee meaning that 25% of college students have failed to even make a minimum monthly payment. Minimum payments generally range between 2-5% the balance on a credit card which should not be tough for anyone to pay off, even a college student with a limited monthly income. The average college student owns 4.6 credit cards. Remember that college students generally do not have the amount of expenses that adults do, they do not have the bills or children to provide for in most cases, yet they still insist on having nearly 5 credit cards on average? It is clear that our “best and brightest” young minds are being brainwashed into thinking that the more and bigger something is financially the better. There is no problem with a college student owning one credit card for emergency situations and to possibly build credit responsibly, but no 18-22 year old should ever own 4 or more cards. Remember that credit card debt is not the only type of debt that college students are graduating with these days. The average college student will graduate with 20,000 dollars in student loan debt on top of 4,000+ dollars in credit card debt. Remember that student loan debt will stay with you until you pay it off, period. There is no way around paying off your student loans, even if you declare bankruptcy you will still have to pay off your loans. 26% of college students admit that they do not understand basic credit card terms, rates, and fees, while just 10-15% of college students do not have a credit card; this means a significant portion of college students with credit cards have no idea how powerful credit cards are. Compound interest will accumulate faster than you could ever imagine, especially if you make minimum monthly payments or you fail to make payments whatsoever. While deciding to continue your education past high school is almost always a good idea [Just getting a BA degree will increase your lifetime earnings by 800,000 dollars on average] racking up thousands of dollars in unnecessary debt is equally foolish. You want to be able to spend your twenties and thirties owning a home, advancing in the workplace, saving for retirement, letting compound interest work for you instead of against you! If you graduate with thousands of dollars in credit card debt your credit score, bank account and financial future will not be looking good. It is easy to get distracted in college; one thing you need to make a priority is smart financial decisions, especially when it comes to credit cards. The worst part about all of these statistics is that the trend is sloping downward steeply. College students are owning more and more credit cards, racking up more and more unnecessary debt and they know less and less about what they are really getting themselves into. Take it upon yourself to make smart financial choices and to encourage young adults around you to do the same, they will thank you later.